It’s no secret that being an influencer comes with its fair share of fame, fortune and glamour. 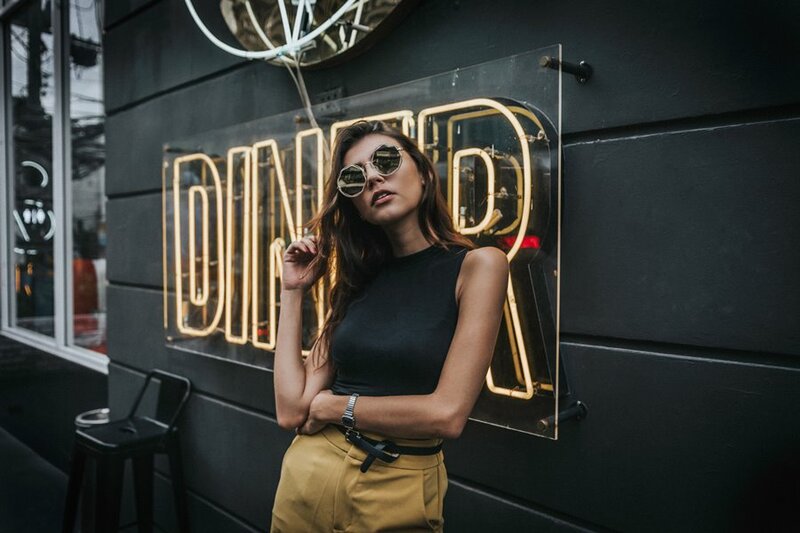 Done right, the dream career can be exceptionally lucrative – top influencers such as Kylie Jenner charge over $1.3 million AUD per sponsored Instagram post. But who actually are these people, and how did they get to where they are today? Read on to gain insight into the lives and humble beginnings of some of the world’s most popular digital fashion influencers. While she may radiate French-chic, Taylor Lashae is actually American born-and-raised. Born in Texas, Houston, she later moved to New York and recently found her way to Paris, where she now models. The star is also an actress, featuring in films such as ‘Je T’Adore’ (2014). Known for her short, brunette bob and eclectic modern style, Taylor models for a range of fashion designers across the globe. Her style inspiration ranges from the 60’s Anna Karenina to the 90’s Winona Ryder. Taylor has a particular love for Australia and its culture and landscapes as a result of her recent travels to the country. She is especially fond of Byron Bay and the nation’s warm, sunny beaches. Her advice for getting a great Instagram snap is to be genuine and to add music. Stephanie Weizman is a part-time style muse, full-time legal advisor based in San-Francisco. Her style combines floaty femininity with edgy street style – think floral dresses with chunky sneakers. Impressively, she’s been building her modelling portfolio since before Instagram was a thing. Her feed is incredibly stylish; her photos feature warm, light, pastel tones that suit her ash-blonde hair perfectly. She also posts tutorials on how to replicate her gorgeous hair styles. As a jack-of-all-trades, she also runs a blog called ‘Let Me Wear That’ where she posts fashion, lifestyle and beauty tips. Her laid-back, easy-going style is inspired by a mix of both the classic and the contemporary. Not only is Saasha Burns a digital influencer and style icon, but she’s a travel writer and creative director, too, having founded the contemporary Aussie lifestyle brand BEAR with her partner in 2017. BEAR is a multi-disciplinary creative studio emphasising unique brand and content solutions. Saasha uses her creative thinking to produce visual narratives that entertain, inspire and offer brand promotion. Saasha values authenticity, purpose and entrepreneurship in the modern world. 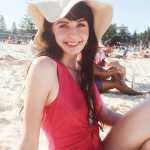 She is currently based in Melbourne, Australia and has a love for the great outdoors and being by the ocean. Her aesthetic is inspired by nature, travel, minimalism and mid-century contemporary architecture. This radiates from her Instagram feed, with its warm, fresh tones and bohemian touch. Matthew Zorpas is many things – lecturer, creative consultant, style icon. He’s also the founder of the popular website ‘The Gentleman Blogger’, a lifestyle and fashion blog (and now, brand) with the aim to make being a gentleman cool again. After graduating in PR and Global Media and working in the digital marketing field, he segued into entrepreneurialism with his creative fashion and lifestyle endeavours in 2012. His style focuses on classic, modern, adaptable pieces and is inspired by both London and New York fashion. Matthew believes that being a gentleman involves being honourable and respectful, seeking enlightenment and spirituality, whilst having an interest in fashion, art, food, travel and meaningful relationships. This is evident in his Instagram feed, which is overflowing with charming turtlenecks, modern trench coats and classy city backdrops. While they may have humble beginnings, these digital fashion influencers have made it big with their bold, charming personalities and enviable sense of style. Where to find maternity dresses for special occasions?